A short life of Dickens which celebrates the impact of the theatre on his life and work. Two hundred years after his death, Dickens’s work is more popular than ever, in a variety of media, most of them undreamed of during his lifetime. 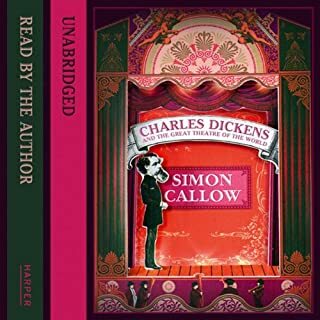 Over the last few decades of intensive research, Dickens the man has become much better known to us and the sheer originality of his personality blazes forth as never before. 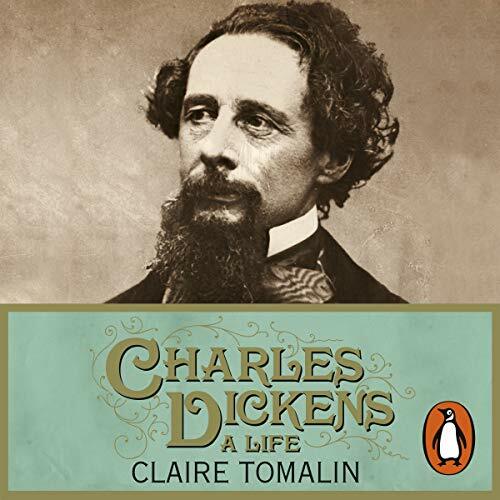 The unabridged, downloadable audiobook edition of Charles Dickens: A Life, the major new biography from the highly acclaimed Claire Tomalin, published for the 200th anniversary of his birth. Read by the actor Alex Jennings. Charles Dickens was a phenomenon: a demonically hardworking journalist, the father of ten children, a tireless walker and traveller, a supporter of liberal social causes, but most of all a great novelist - the creator of characters who live immortally in the English imagination: the Artful Dodger, Mr Pickwick, Pip, David Copperfield, Little Nell, Lady Dedlock, and many more. At the age of twelve he was sent to work in a blacking factory by his affectionate but feckless parents. From these unpromising beginnings, he rose to scale all the social and literary heights, entirely through his own efforts. When he died, the world mourned, and he was buried - against his wishes - in Westminster Abbey. Yet the brilliance concealed a divided character: a republican, he disliked America; sentimental about the family in his writings, he took up passionately with a young actress; usually generous, he cut off his impecunious children. 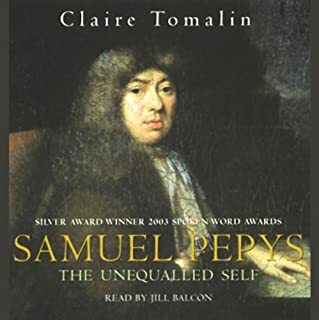 Claire Tomalin, author of Whitbread Book of the Year Samuel Pepys, paints an unforgettable portrait of Dickens, capturing brilliantly the complex character of this great genius. Charles Dickens: A Life is the examination of Dickens we deserve. Alex Jennings is an associate actor with the RSC and has also worked with the Royal National Theatre. He was Henry Higgins in My Fair Lady at the Theatre Royal, Drury Lane, for which he won the second of his Olivier Awards for Best Actor in a Musical. He played Charles, Prince of Wales in the film The Queen, and his TV appearances include The State Within, Inspector Morse and the title role in Ashenden. 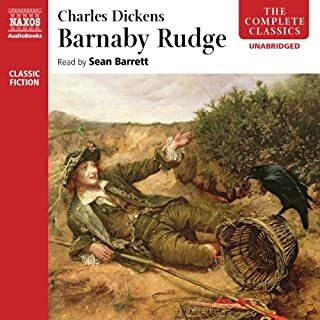 He's a prolific reader of audiobooks, the most notable of which are The Horse and his Boy, Oliver Twist and Attention All Shipping. 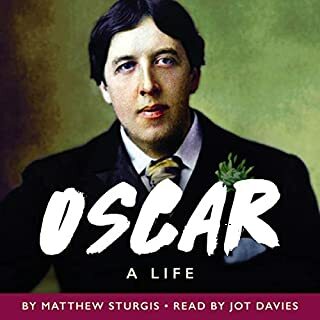 I really enjoyed this biography read excellently by Alex Jennings. The author had a colourful character to write about which helps, but she has created a pacy life-story that cracks along like a novel, but is also a work of scholarship involving much delving into archives. Dickens is presented as a complex man, not all good, and driving himself to extinction by over-work. The characters and themes of his books are woven into the biography and one can see how his life experiences have enriched his writings. 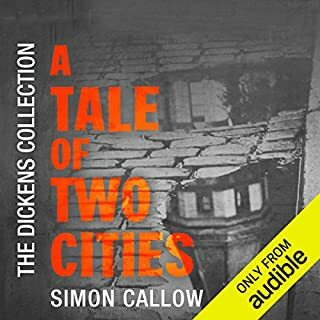 This was a brilliant audiobook excellently narrated and very well researched by the author, I have loved Dickens work since I began watching the old BBC adaptations as a child back in the early sixties but never gave much thought to the man who created all these wonderful stories. Having now learned so much about him I can view his work with fresh eyes and ears. 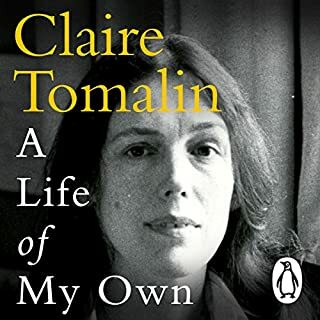 Claire Tomalin has written a biography that is informative, entertaining and very accessible. 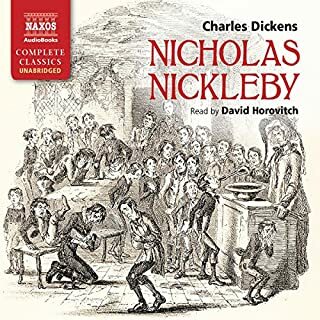 As I learned of Dickens early life I could see the events mirrored in his later writings and I could almost understand the dual aspects of his personality as an adult. For all his genius as a writer he was deeply flawed in his ability to form truly meaningful emotional relationships with his own family and often treated them in a cold, cruel manner. However I still could not help but feel sad for him instead of angry, and like most of the people who knew him, I too am willing to overlook his flaws in the face of his creative powers. 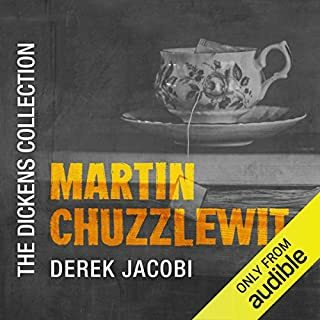 I would certainly recommend this audiobook as an excellent biography which kept me fascinated and stirred my desire to revisit some of my favourite Dickens books again. I am a fan of Dickens' work, but have always felt uncomfortable with his treatment of his wife. This slow, well researched book helps to shed a more human, vulnerable light on the author. As usual anything written by Claire Tomalin will is well worth the read. I thoroughly enjoyed this biography. Claire Tomalin gives a real sense of Dicken's frantic genius and has captured a life full of event and intrigue. A tremendous amount of research has gone into this, but she doesn't let it bog down the forward momentum of the book, which has real verve. She is clear sighted about his weaknesses, and excellent on his family and social circle and the society in which he moved. 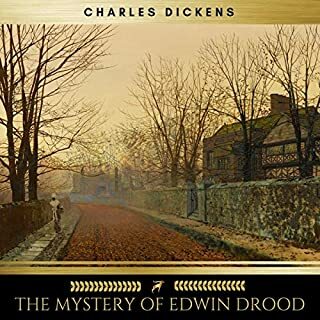 I've read most of the novels and found her analysis of them illuminating, but I think you could read and enjoy this even if you haven't read much Dickens. Well read too. Claire tomalin has a knack of bringing characters to life in her biographies, and as with Samuel Pepys, she brings Charles Dickens to life, covering his formative relationships and his key influences. 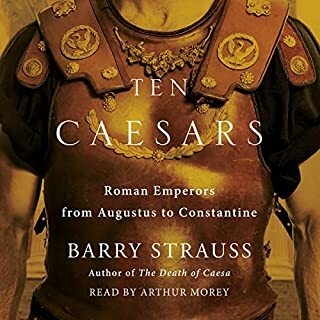 This audiobook is easy to follow and well read, highly recommended. 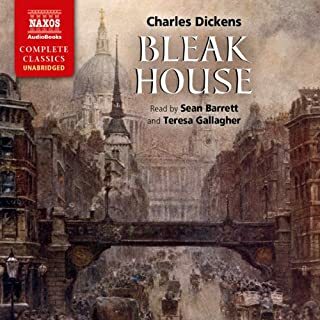 I bought this as an audio book as I was fascinated to read about Dickens but didn't want to carry around the large hardback edition. It is a very comprehensive account of the life and works of a brilliant, complex and flawed man. Like many readers/listeners, I found that the more I knew about Dickens the less I liked him. My main criticism is that there is just too much detail. At times it felt more like an account of diary extracts than a biography, especially in the last couple of chapters. There is a mind numbing number of references to guest lists, menus and travel arrangements. A tougher editor could have cut the length by at least a third. Also, Tomalin is happy to give us her analysis of his novels but I never really felt I got her analysis of Dickens the man. 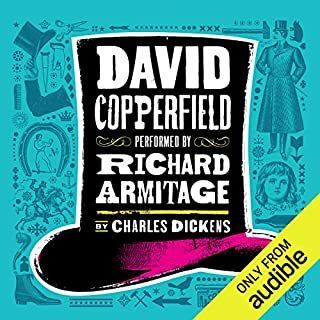 I liked Alex Jennings' narration although wasn't sure about his choice of a rather fey voice for Dickens himself. 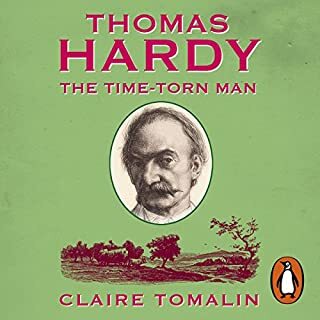 But it is a much more enjoyable listen than the Radio 4 Book of the Week version with Penelope Wilton, which was too syrupy and deferential in tone.As Tomalin makes clear, Dickens is one of the greatest English novelists, but was far from a 'national treasure' in other aspects of his life. 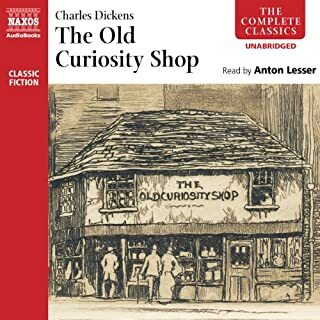 Would you listen to Charles Dickens again? Why? Yes. There's so much to take in. This account covers not only the author but provides detailed insight into many of his books and characters. What was one of the most memorable moments of Charles Dickens? The account of his childhood. I'd no idea he was so impoverished. Accounts of his travels and theatrical connections. No way...it's pushing 30 hours! In a way, 'Dickens' is a word without meaning. We know of Charles Dickens, the writer. His works are classic literature. Characters, sayings and even musicals have insinuated themselves into our very psyche. But what do we know of the man? For my part, I must confess relatively little. He's always been there. I've read a number of his books and seen various adaptations for screen and stage over the years. But this account by Claire Tomalin has brought the author to life and added a whole new dimension to his work. I wasn't aware of his impoverished childhood. One blighted by a father constantly in debt. Or that a very young Charles was initially denied an education and obliged to work in a blacking factory for a year when he was only twelve. He experienced poverty and hardship first hand, long before witnessing the effects as an adult. This biography is one of the most incisive I've read. It not only shapes the man, it provides detailed insight into how many of his main characters were formed. 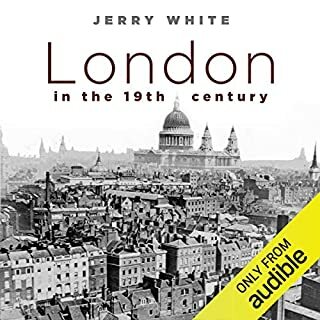 Some based directly on his personal life and experience, others on his detailed observations during his travels and extensive night walks around London. There were times when I struggled to empathise with him; he could be arrogant, sexist, insular and moody. But this was balanced by his generosity, philanthropy and personal struggle in a number of ways. Claire Tomalin's account is sympathetic and full of insight and I've been engrossed from start to finish. It's not only an account of the man and his work, it's an acute social history of the Victorian era. Right down to his refusing a Royal Command! If you read one biography this year, let it be this one for everything you can learn from it. Brilliant. A well told biography of one of our greatest writers. I particularly enjoyed the fact that Ms. Tomalin contextualised Dickens work and his world. 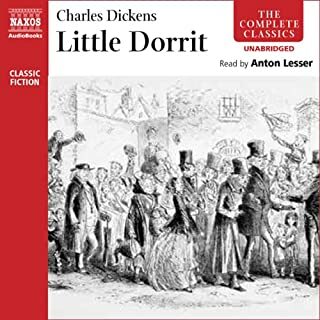 Dickens comes a cross as a man full of contradictions; he uses his influence to be a champion of the poor and needy yet treats his wife cruelly towards the end of their marriage. 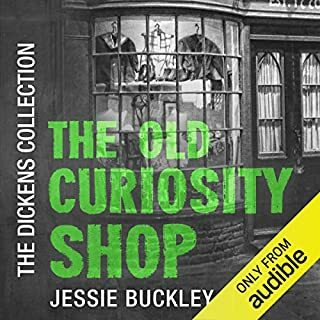 The story is full of energy which mirrors Dickens driven and restless nature. He had a venal and grasping extended family, who happily took his money and expected him to support them. He never seemed to rest and drove himself to death at the relatively early age of 58. What a shame for literary fans everywhere, but my goodness what a roller coaster of a life! A really thrilling biography. I have the The Complete Barchester Chronicles, and so was delighted at the choice of Alex Jennings as the reader for Claire Tomalin's remarkable biography of Dickens. 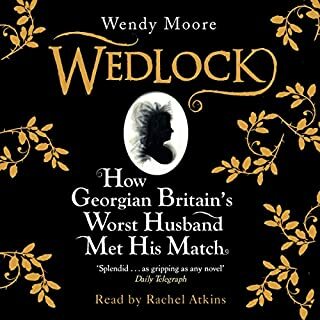 She gives a clear account of his life, in all its complexities, and Victorian background, and adds an excellent reflection of the much later evidence of behaviours his daughter and sister-in-law would have preferred to remain hidden. At last I realised why Dickens' women are generally so two-dimentional. Both scholarly and a brilliant listen. The industrial revolution in England produced opportunities for the rich and wealthy but a nightmare for the poor. Laissez Fair and exploitation of the downtrodden was the norm of the day. In these dark times the hope of light was Dickens' novels which exposed the tyranny, injustice and cruelty of the system under the garb of progress. He was the only English novelist who spoke against these malpractices and what he said he also acted upon. He opened shelter homes for the fallen women of Victorian England and showed to the people that authors did not live in the 'ivory towers' as Wordsworth said. This biography is a befitting attribute to the services of Dickens and his glorious life. To me, the above categories are not very useful. We all know of Dickens but, I suspect, few of us know much about the man. After reading this book, we do. And we understand how he became the great storyteller that he was. Not a great man, not even an admirable man in how he treated his family. Still, for me his novels become more understandable are reading this biography. I was sooo looking forward to this bio! Ive read all of dickens novels and have been dying for a good biography. If the facts are what your after, you will get them in this biography but the quality of the writing is mediocre and superficial. The author lacks the emotional connection to her subject that is evident in a good biography and whatever insights she portends to reveal from her research are lame, questionable and unconvincing. Throw in a rather boring narration (though to be fair he didnt have much to work with) and you get a let down. If your a major fan like me I would get it because his whole life is laid out for you but as a listening experience it left me kind of disappointed.